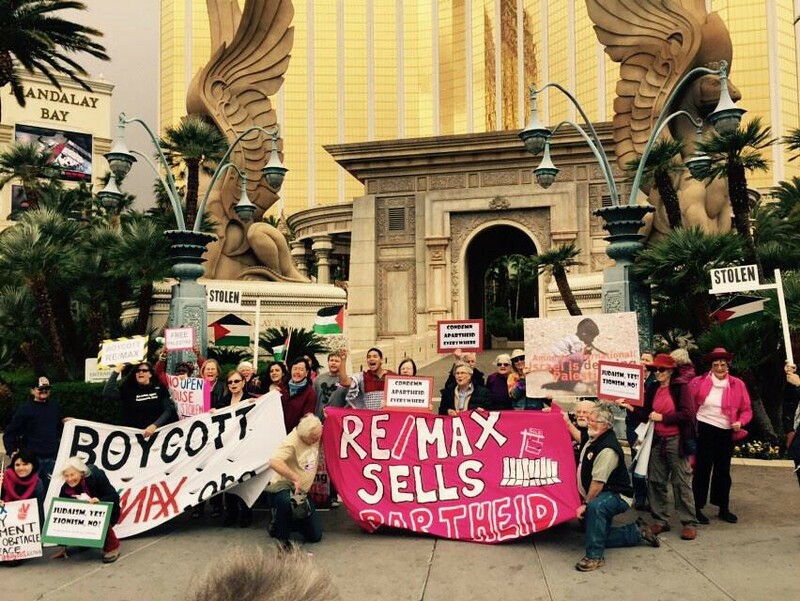 Activists from across the U.S. gathered at the RE/MAX R4 Convention in the Mandalay Bay Hotel in Las Vegas March 2-4, 2015, to protest Denver-based real estate giant RE/MAX for profiting from and facilitating the sale of illegal Israeli settlement properties in Palestine in violation of international law. Through its RE/MAX Israel franchise, RE/MAX currently operates in and sells in all major settlements in the West Bank violating international law and human rights. 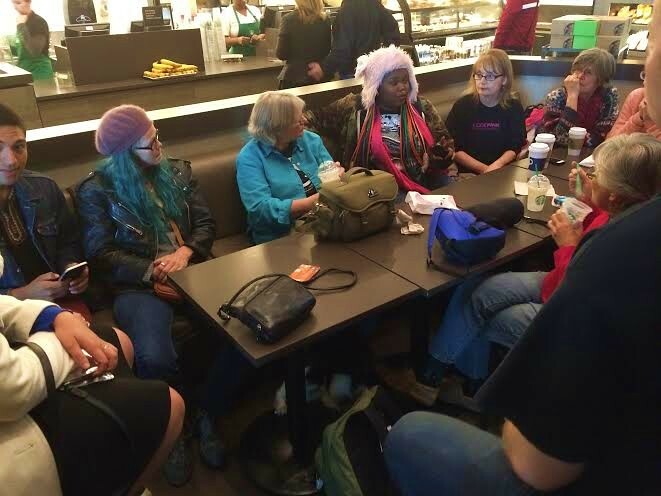 Nationwide activists were compelled to join the #ShutDownREMAX mobilization including traveling from Arizona, California, Connecticut, Hawaii, Massachusetts, Minnesota, Nevada, Ohio, Texas, Washington and Vermont to Las Vegas and from participating organizations that included members of CODEPINK: Women for Peace, Veterans for Peace, Women’s International League for Peace and Freedom (WILPF), Nevada City for Justice in Palestine, and Students for Justice in Palestine. For three days, activists engaged realtors and RE/MAX executives directly, staging actions both inside and outside the convention center. 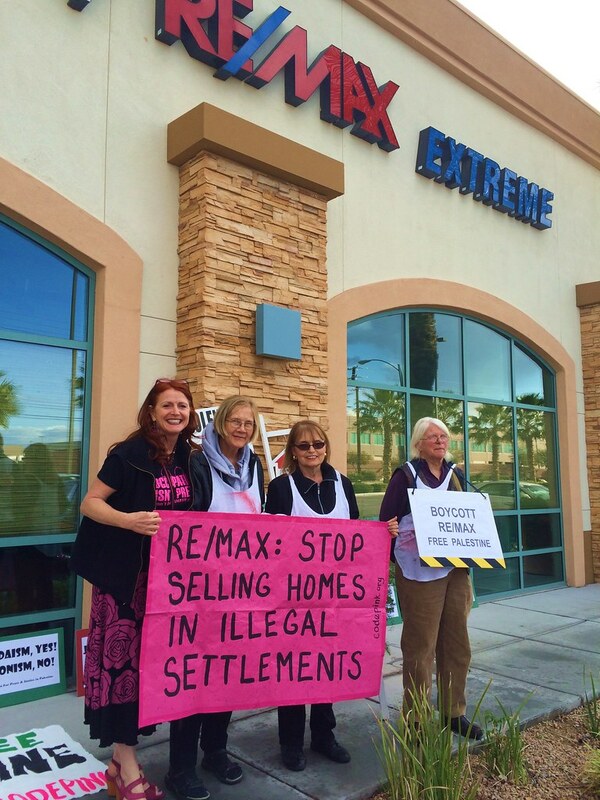 On our arrival, top RE/MAX executives made clear their awareness and anxiety of the campaign as #ShutDownREMAX activists were met with excessive security from Re/Max, Mandalay Bay, and Las Vegas police. Several activists received aggressive treatment, including with racialized undertones directed at Muslim and Palestinian participants. As folks broke down the ways that American complicity in the Israeli Occupation was unacceptable as a source of profit to RE/MAX realtors, realtor after realtor were shocked that RE/MAX International is knowingly aiding illegal activity and putting the brand in jeopardy of the international boycott for refusing to cease its sales of settlements and publicly acknowledge the BDS efforts against it. Later that night, we continued our efforts to directly engage realtors and confront RE/MAX executives Dave Liniger (RE/MAX International), Mike Polzler (RE /MAX Europe) and Bernard Raskin (RE/MAX Israel). Lead by CODEPINKers from Los Angeles and Texas, groups rode up and down the elevators to talk with realtors and distributed hundreds of stickers about the campaign, flooding floors of hotel rooms with our message. After the sticker campaign, activists met at Las Vegas Library to strategize, reflect and discuss the week and the campaign at large. Students recounted the triggering experiences of hostile security from the day and the excessive anger directed at non-violent action. The following day there were two waves of activists speaking with brokers and agents. At the end of the morning wave a banner was ripped from the hands of a member of Veterans for Peace followed by his arrest, the other activists were removed from the hotel on trespass charges. This didn’t stop the participants as they gathered outside the hotel and continued to share the messages of the campaign with a large demonstration. 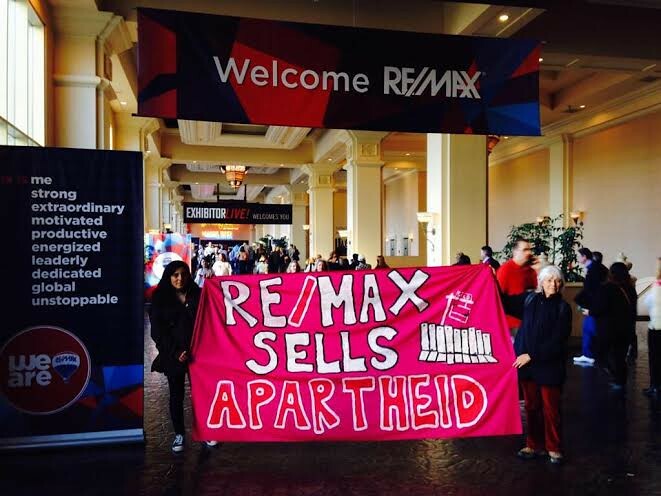 Chanting “Shame on RE/MAX!” “Not another nickel, not another dime, RE/MAX profits off Israel’s crime” and “Boycott RE/MAX!” After a regroup the second wave of activists from the #ShutDownCreech team succeeded in unfurling the banner in the convention. 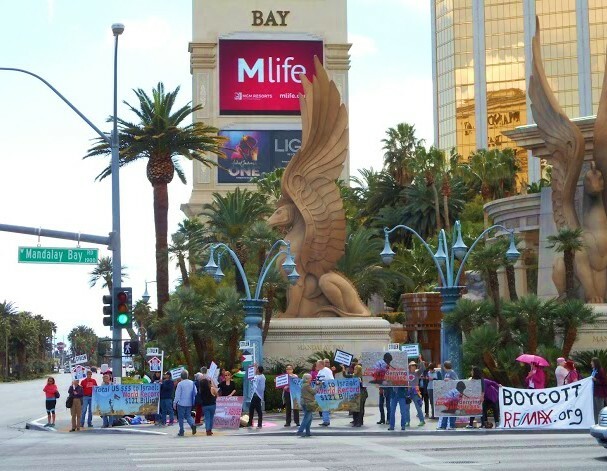 In summation throughout the three days of action, twenty-five activists were forcibly ejected from the Mandalay Bay property and told they were never again permitted on the premises or any affiliated properties owned by MGM corporation. And #ShutDownREMAX wasn’t just in the marble halls of Mandalay Bay. 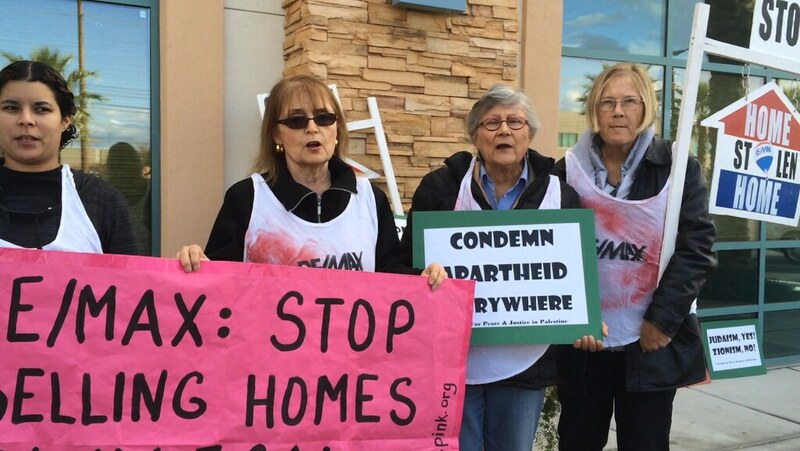 Actions in solidarity with the #ShutDownREMAX mobilization around the US continued the conversation for those who could not come out to Nevada. 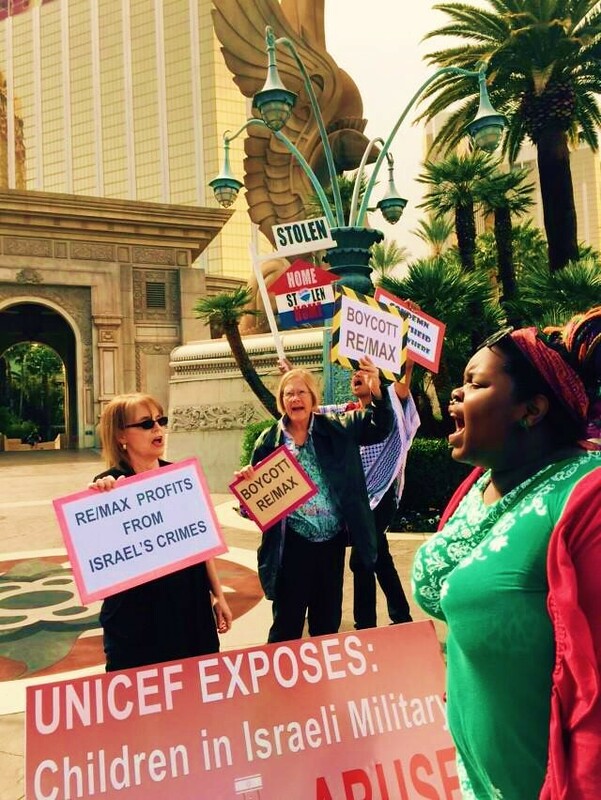 Activists online jumped on the #REMAXR4 hashtag of the convention infiltrating the event’s social media streams to make realtors aware of the company’s practices. Jewish Voice for Peace Boston battled the snow outside the RE/MAX office in Jamaica Plains in solidarity as well. 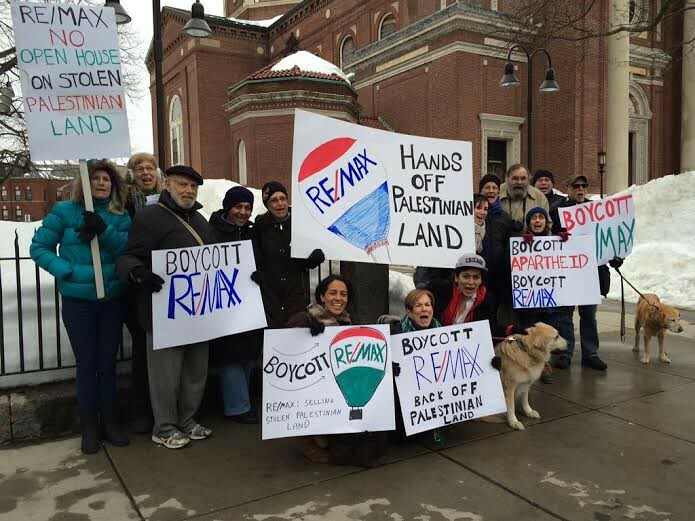 Jewish Voice for Peace in Boston says "RE/MAX, Hands off Palestinian Land!" Ultimately, #ShutDownREMAX was a powerful demonstration of how people are willing to gather from all over the country to stop corporate complicity in the suffering of Palestinians. As we can see on our television screens the Israeli government becomes increasingly desperate to maintain its unjust Occupation, we understand how important it is to directly challenge RE/MAX for its egregious practices. Indeed, these actions coincided with Netanyahu’s chilling speech to US Congress pressing for war on Iran and expansion of Israel’s illegal activities. Remarkably, however, was the over 60 members of Congress who promised to #SkiptheSpeech, a campaign that included partners US Campaign to End the Israeli Occupation, Jewish Voice for Peace, Roots Action and CODEPINK. 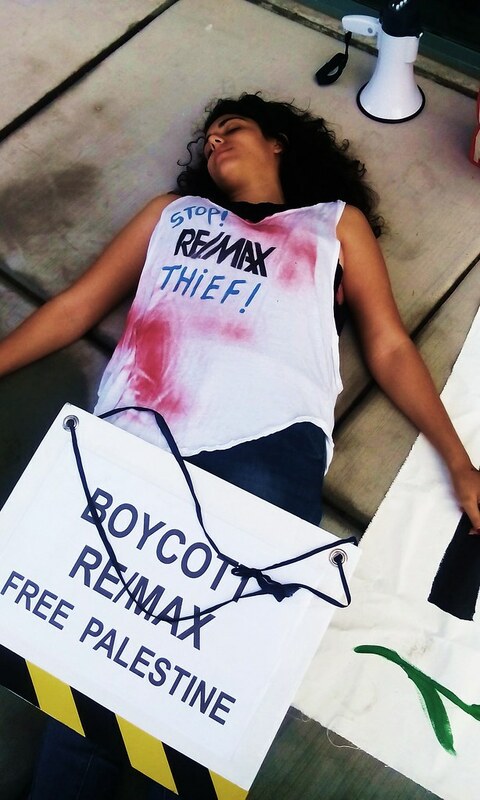 It is clear by the heavy-handed response of RE/MAX’s security measures that RE/MAX International, RE/MAX Europe, and RE/MAX Israel are frightened by the efforts of the Boycott RE/MAX: No Open House on Stolen Land campaign and are looking to wait out the international efforts to bring their occupation profiteering to the attention of consumers globally. But RE/MAX seems to be in a run for it’s money, quite literally, because the campaign Boycott RE/MAX: No Open House on Stolen Land won’t be slowing anytime soon. Protestors chant "Not Another Nickel, Not Another Dime! 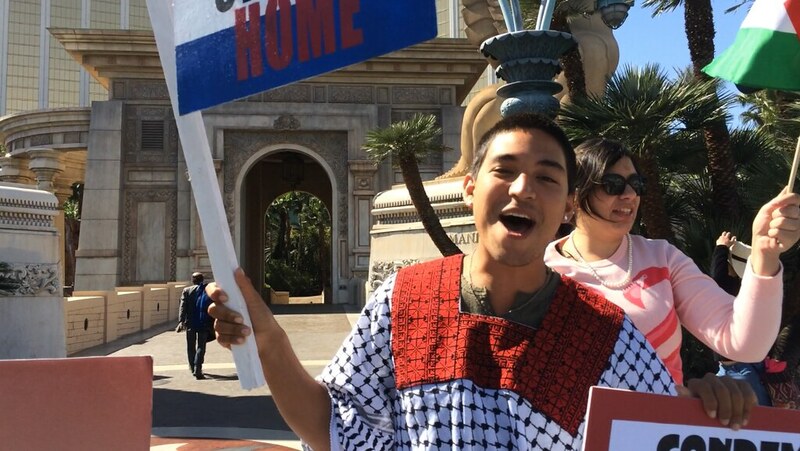 RE/MAX Profits off Israel's Crimes!"